Any of you who have visited my blog over the past year or so knows my new-found interest in photography. I have read many books on the subject (even posted a few reviews), shared my trials with a dirty sensor, and posted my goals of improving my photography in 2012. I’ve been a woman of many words but little action. But not anymore. The last couple of weeks in December I decided to take some positive steps forward in making this dream a reality. I committed to the 365 Project – something I had contemplated for nearly 18 months but was too fearful to join. Of course, it helps that I have a close friend who is also committed to the project, and we try to encourage each other to take the required photo each day. 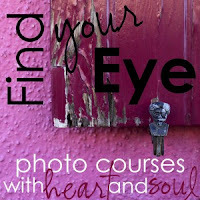 But I also registered for a couple of online classes, one of which is the Find Your Eye course by Kat Eye Studio. If you follow the link you can find a full description of the course, but the reason why I registered is because I want to learn how to “express my heart and soul” through photography. Why do I take photos? What draws me to photography? What are my motivations? What keeps me excited and interested? Consider all of the reasons and motivations you have for taking photos, both internal and external. I have always been interested in photography – but only as a memory capturing device. I would take pictures on special occasions, like birthdays and Christmas, and on family vacations. I believe this style of photography is referred to as snapshots – and while it continues to serve a purpose in my life – I have come to realize that I want to capture more in my pictures. Since turning 50 two years ago, I have found myself struggling to know the “real” me. No longer entrenched in parenthood, I have now entered the realm of grandparenthood. Phasing out the career as teacher, I am now contemplating the life of retirement. I have graduated from being an eldest child, to being a matriarch of the family. Somewhere along the way I have lost my sense of me. I have always referred to myself by the role I have played – not by the person inside. And now that those roles have changed – and in some cases, disappeared altogether, I feel out of touch. I have focused solely on raising a family and writing lesson plans – and I have forgotten how to be creative and have fun. All work and no play has made Molly a very dull person. Photography seemed like an easy solution. I already owned a camera (point and shoot most of the time, but my son recently gave me a dslr) and I didn’t think I needed any special talent to click a shutter. I naively thought that “anyone can be a photographer” But isn’t it funny how the more you learn about a subject the more you realize you do not know? And while it is true that anyone can click the shutter – it is also true that only through practice can one hope to master the skill. The above picture is a photo of my granddaughter Brynn that I took this holiday season. Yes, she is in focus, yes you can tell that she is adorable (no prejudice here – ha!) – but it is truly just a snapshot. Now compare that picture to this one here that my son took at the same time. He not only captured her face – he captured her personality. This is the true Brynn – my photo is just a two dimensional image. I want to learn to capture the essence. Not just the essence of people – but the essence of life. I want to learn how to S-L-O-W down and really observe life around me. I want to find the beauty in my everyday surroundings and I truly believe that in doing that – I will learn to find joy in life, no matter the circumstances. In addition, I hope to discover a means of self expression that will enable others to see the real me – the me on the inside and not just the role I fulfill in their lives. Of course, I also have a heart for travel and I want to develop photographic skills that will not only help me to capture the iconic pictures of my beloved Europe – but I want to learn to capture the emotion and the atmosphere as well. And in the deep recesses of my imagination, where I sometimes allow myself to dream, I would like to marry my love of photography with my love of writing. I would like to not only visit these foreign countries, but also to write about these travels – if not for publication, then for a legacy to leave for my children to read. If a picture is worth a 1,000 words – then I want to accompany that photo with another 1,000 words to fully document the event so that others might know and feel exactly what I experienced. That is what I hope to gain from photography. Sometimes I walk around with my camera and just snap photos, without thinking too much about it. Then later, I really can discover things about myself by what I focused on. Why did a certain thing catch my eye? What does that mean about who I am? I think this sounds like a really great project and I look forward to reading more! As a teacher, I enjoyed reading your thoughts. I'm more toward the beginning of my career (8 years), but I often find myself putting what I need to do for school over what I need to do for me. Photography is also helping me to keep in touch with myself and to slow down and focus on what's around me. Thank you for sharing your thoughts with such honesty! No doubt about it, Brynn is a cute! Those are lofty goals. I wish you the best of luck. Molly, it was so interesting to read your "whys". I can relate to the living over 50 and asking oneself "who am I?" I have been "married" to photography for 40 years, and I still learn, find new ways to take pictures etc. I took a couple of photography classes "back in the days" when I still lived in Germany which I don't want to miss for anything in the world. But most I learned by trying out and practicing. I do look forward what you will take out of the class – Kat is a great photographer! Molly, I've been asking myself that same question for about the same period of time. I would love to take a photography class–for the reasons you mention, sans grandchild (daughter's still in college; there's time). I admire you for stepping off the proverbial ledge–and finding that there is a path below it. Your path. I look forward to what you choose to show us of it. Thank you. Since you recognize the type of photo you want to take, I bet you'll be there before you know it. Your post really spoke to me, especially the part about discovering the real you and finding a means of self expression. Very interesting to campare the two photographs of Brynn. I liked reading about your motivation to improve your photography skills. I really love that shot you took of your little grand-daughter, you captured a really sweet moment of joy on that little face and the lighting is pretty and creates a halo around that soft baby hair. Thanks to the lighting, the photo also has depth to it. I truly admire your undertaking this project, Molly, and I know you will do well at it. Both pictures are simply adorable of Brynn. You caught her smiling and in the sunlight (did you make the quilt?). Your son's really is precious and seems to have caught her personality. One trick I've learned with our Kezzie, who is now 21 months and won't hold still, is to just keep clicking the camera. Yes, sometimes I click ten pictures, most a blur, but, there is almost always one I wouldn't have seen or taken if I waited for it. Now, I'll admit, this is not the best photography method, but, hey, it works. Also, like Cath above, I sometimes just walk around and take pictures. It is amazing what those photos reveal. A very powerful and heartfelt post, Molly. I feel like I learned so much about YOU in this post, not just why you love photography, and I love that. Knowing so clearly what you want out of your photography practice will help you get there in no time. Along your journey, you are going to find yourself reflected in your images in ways you never imagined, that's what happened to me! I think you are right when you say you are trying to find yourself. After years of bringing up children it's nice to find something for ourselves – something that we get pleasure from and enjoy doing. So more power to your elbow. 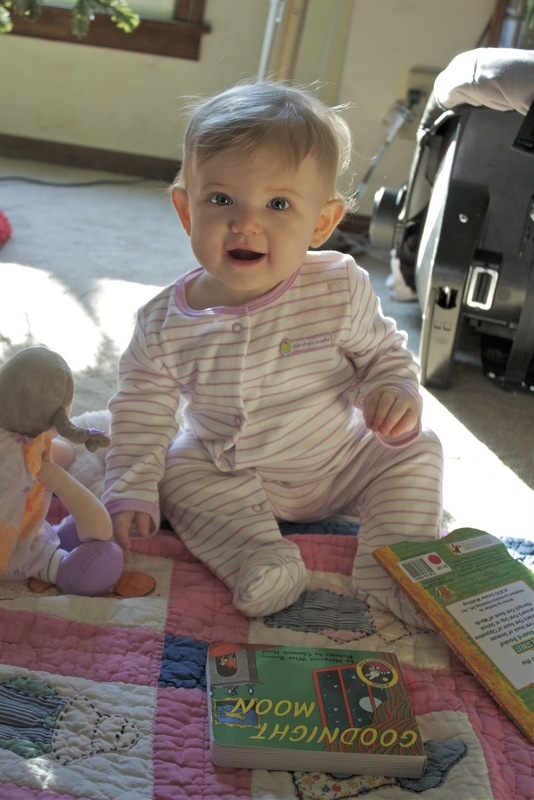 Love both the pictures of Brynn – the first one has beautiful lighting and the 2nd as you say shows her personality. Enjoy the course. P.S. looks like you have some very cute photo material close at hand!!! Brynn's expression is amazing! It was so beautifully captured! Your idea of document the places you've visited and leave for your family as legacy of your life is great! I hope you do that.. read your words is so ease and envolving. Molly, I am so excited for you to decide to learn more about who you are through photography. I never thought about that happening when I photograph…I just wanted to share the beauty that I had seen with others, and I have done that. But your thoughts have added one more thing to my list of "Finding Your Eye". I look forward to learning along with you. Thank you for sharing. The two pictures of your granddaughter illustrate such an interesting idea. So many times, photos are "just that," –meaning that what you see is what you get. But to capture the emotion, now that IS art. Most of the photos I have to work with could never be classified as art, but with use of scrapbooking supplies–colors, patterns, and so on, I can capture more of the emotion of the event. My son-in-law quipped that "I make life look so grand." I took it as a compliment. Oh, Molly, this is such a beautiful post. It speaks to my heart – I know exactly what you mean, and what you're in the process of finding. Photography is something I want to start learning too. I don't have a DSLR yet, but I'm hoping to get one this year. The course you're taking sounds like one I'd enjoy a lot. Molly, its lovely to meet you through the find your eye course. I loved reading your story & I agree with most that you will get where you want to be real soon. I can't wait, to not only see your images, but hear their stories too, you are a great writer. did you get to trying that image of the big sky & little horizon, i look forward to seeing your images. I can so relate to your feeling of losing yourself. I'm terrified of facing the day my daughter leaves home. I have been not just mom to my own kids but Mama Shepp to all of their friends for so long, I don't know how to separate "me" from "mom." I'm so happy that you are so willing to share this journey with the rest of us. What an eloquent post. We're all in transition in one way or another (I just retired recently and am still adjusting) and most of us also want to get to the essence of things. You say you have a dream of marrying writing with photography: putting that dream out here in the world as you have is the first step toward making it real, I think. You've already got the writing part down. Your photo of Brynn is very nice. The fact that you appreciate the added quality in your son's photo will help you reach your goal in photography as well. And your third image is pretty special too, by the way. Makes me want to travel.